I would imagine that if you picked up a new Nexus 7 over the last few days, that you are in the market for a new case. Since the design of the device has changed, you probably already figured out that the case from your old Nexus 7 is not going to work with the 2013 model. And since we told you not to buy the flimsy, rubber mess that is the official Travel Cover, we figured we should probably give you another quality option to replace it. In the past, we have been huge fans of Portenzo’s bookcases, even if they carry prices on the higher end of the case spectrum. But with a 10% off promo running until tomorrow night at midnight, this is your chance to jump into one for cheaper than usual. Last year, we looked at the Alano case (pictured above), which is the high-end single-sheet of leather bookcase, along with the standard bookcases for the original Nexus 7. These cases are all hand made, using hand sanded woods, hand-distressed leather that has been imported from South America (for the Alano), and come with more customizable options than you’ll find on most cases. 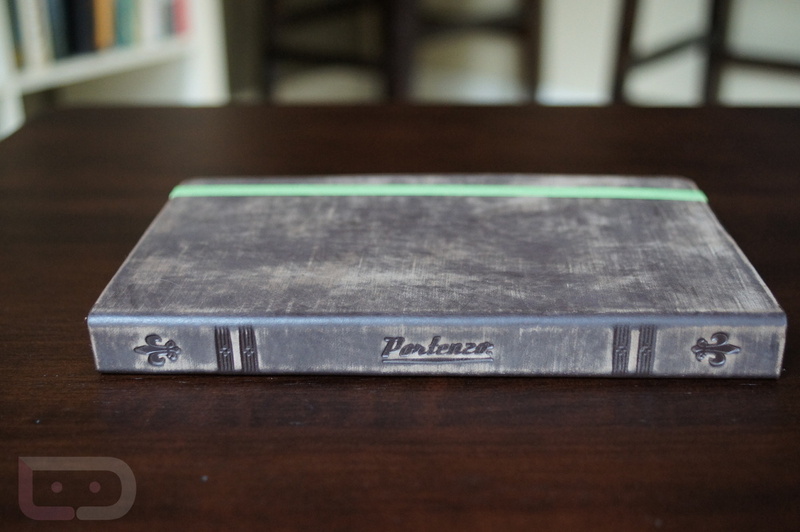 If you want quality, Portenzo is a case maker you should consider. The current product time is running about 14 days, with shipping happening around August 9. Portenzo cases range in price from $35 up to well over $100. Use coupon code NEWNEX at checkout to receive 10% off your order. Question of the Day: What Does the Moto X Need to be to Win You Over?